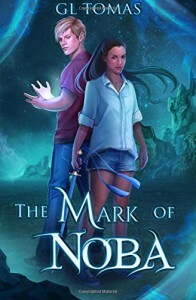 I was lucky enough to have received my copy of The Mark of Noba through a giveaway from the authors of the book, GL Thomas. With out a doubt, anyone can sit down with this book and not realize they’ve been reading for six or seven hours without stopping. 0__0 I do not want this to turn into an essay or anything, but there were a lot of things that were so great about this book. The GL Thomas duo have fashioned a realistically believable, angsty yet pleasingly comical Young Adult/ Science Fiction story that takes place on an alternate Earth-like planet called Geo. The authors were smart to not only give us First Person POV, but give us the story from both Tetra and Sterling’s POV so the reader is able to immerse themselves in the story from two different angles without any of the mystery or the story being blatantly obvious or ruined. In addition, the reader will not feel ridged or confided to feeling like they’re reading a YA fiction that’s just for boys or just for girls. I thought it was funny that when I got to the back of the book, the writers ask the reader which team they were on, #TeamTetra or #TeamSterling, but as it goes back and forth between the two of them in the book I found that I couldn’t just choose one side. The writers do a great job at exploring each character individually as well as they do a unit. 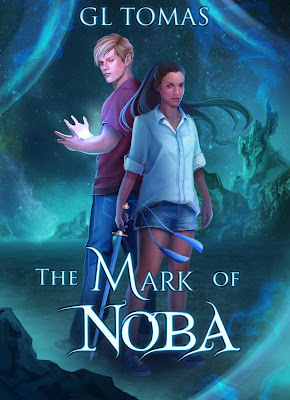 If you are the type who enjoys reading/watching a thing/a connection between two people grow, I guarantee you that The Mark of Noba is the book for you. Moreover, it you are the type of reader who just enjoys reading about characters whose friends, family, or their life in general takes comedic jabs at them, then this is the book for you. Sterling’s character is clearly the reader/audience of the book as we, like him leave normal, or what we perceived as the norm, after officially meeting Tetra in the book. And although the POV goes back and forth between the two, in Tetra’s POV the reader is not privy to all the answers that Sterling (we) has through out the book. With him, we get to revel in his actions and reactions because he’s basically an average senior at CCI (City Collegiate Institute) that you cannot help but root for while simultaneously laugh at. Haha, I cannot remember the last time I felt so much second hand embarrassment for someone. And to be fair, it wasn’t all second hand embarrassment. Reading about Sterling’s life growing up with a Mother whom suffers from schizophrenia is also another enthralling aspect about both him and The Mark of Noba. Tetra’s character on the other hand is clearly the objective voice in the book o for the reader as she contradicts the social standards and restrictions in Geo that parallel our own. Needless to say, often reading Tetra’s POV was one of my favorite parts about The Mark of Noba because she strips away and exposes the baseless and fallacious foundations of nearly every reason or excuse Sterling presents to her for ‘how’ or ‘why’ things were the way that they were on Geo, particularly in regards to gender. Which completely differentiates from Tetra’s home planet, Noba, where its people function in a way that wasn’t rooted with gender barriers, a person—no matter who—is defined by their skill set and their skill set alone. but there were a lot of great things about this story. However, there were a few things about this book that I did not like or felt if-y about but they DO include spoilers, so if you want to continue with a spoils-free impression about The Mark of Noba, then please stop here. J. A. McLachlan has created a highly addictive, inspiring, and adventurous Young Adult/ Science fiction story with The Occasional Diamond Thief. The main character, Kia, is smart, stubborn, analytical; free willed, strong and 100% an independently thinking individual whom still exhibits truly the most moving moments of venerability as the result of an a strained relationship with her family, excluding her brother, Etin. Despite all of this, the young, inquisitive minded teen still manages to make friends and gain a few trusted allies across the universe on a semi-technology backwards/basic planet called Malem, whose people openly reject and dis-trust foreigners. While unknowingly developing a truly heart-warming bond with a (unique) Select–Agatha—who fills the maternal absentness in Kia’s life she was not aware she needed. Another thing I appreciated about this book was the fact that it not only revolves around a strong female protagonist of color, but that it equally balances differences in Culture/Languages, Social Standards and Religion with Morality, Identity, and Humanity without losing it’s comedic, adventurous and mystery elements. There are just so many quotable/memorable moments from this book that you can relive over and over again. Itohan—his name means ‘mercy’. My father was Itohan Ugiagbe, I want to say to the Malemese hurrying about their business, ignoring me, a foreigner in their midst. He came here and suffered like you. I watched him die all the years of my childhood and I didn’t understand. Every time I pass another death house, empty and boarded-up, I understand a little better my father’s long despair. What would he have been like if he hadn’t come to Malem? I never really knew him. Already his image is fading in my memory. I look around the dirty streets as I walk. They stole him from me, but they might also be able to give a little of him back. If I can find out what happened to him here, I’ll know him in a way I never did. The Malemese diamond must be mixed up in it somehow. –Excerpt From: J. A. McLachlan. 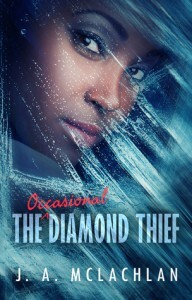 “The Occasional Diamond Thief.” iBooks. It is one of best YA books I have read in a really long time and I wish I could have read a book like this when I was younger. As I followed Kia through this book and read her learn not only more about her a strained father’s past but learn to have more confidence in herself and trust in others, I found that I too was learning with her. “But at some fundamental human level where the fear of not being understood touches us all, Central Ang ties the human universe together.”—Excerpt From: J. A. McLachlan. “The Occasional Diamond Thief.” iBooks. As a person who finds comfort in my studies and in moments of solitude when being around my family or friends feels like I am an outsider or a stranger, I recommend this book to anyone who has ever felt like they didn’t belong. I let that one lie. –Excerpt From: J. A. McLachlan. “The Occasional Diamond Thief.” iBooks. I woke up this morning to one of the most wonderful news!! On another note, this is weekend, and maybe I can finish reading a NOVEL. Been reading only short stories or novellas lately. With this past week (and for the next three) being Ramadhan, I felt that I either got too sleepy, had other religious activity, or didn't really up for reading anything during workdays. Weekends should give me more time. 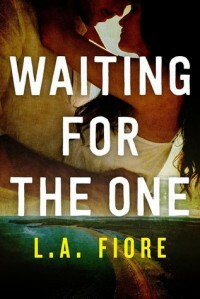 L.A. Fiore's Waiting For The One hooked me from page one. Saffron Mills is fun, sarcastic, honest, and a kiss-asses-first, take names second kind of girl; one of the most relatable characters I have come across. Fiore does a great job in keeping Saffron's voice and character consistent from beginning to end without any reestablishing of Saffron's backstory or life before the here and now in the book, which is something I really appreciated. I give this book 3 swordfishes; I mean stars ;-) (man talk about a running gag ^__^) because of the partial unreliability of Saffron’s first person narration. I often felt as though some scenes between her and Logan were always missing a few details and I found my self flip-flopping for and against their relationship because I doubted his true feelings and thoughts as they were being told to me by Saffron whom could be miss reading things herself. Another reason is that I would have liked it if the two’s relationship—Saffron & Logan—had taken a bit longer to develop because I found I enjoyed single/solo Saffron way more than coupled/domestic Saffron. She was never more alive or like herself than when she was hanging out with her friends, with Frank, or on her own. Regardless, it is not often I find myself on the same page with the protagonist as they dive into the unknown, face life altering decisions and events, but I did with this book. And I truly believe it was Fiore’s ability of crafting such a strong and independent thinking female protagonist—and the steamy love scenes—that will draw in any reader. One who would enjoy a story about life, love and change all in the festival having small town of Harrington, Maine. I had the pleasure of reading an advanced copy of Fate's Crossing by J.R. Smith and it is a story of an unexpected blend of supernatural, prophecy/fate and coming of age story. With the young Liana, traveling from Oklahoma all the way to California for an internship her ordinary life suddenly seems to take on a whole different form even before her plane from Oklahoma lands. 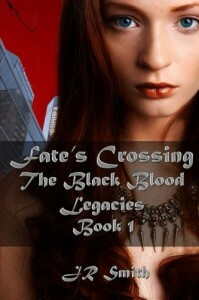 I don’t like it when reviews spoil books for me, so without giving too much away, the first installment of the Black Blood Legacies Series: Fate’s Crossing is sure to grip each reader with an enticing bite of mystery, humor and wit. This young adult series also brings a flirtatious rivalry war between Liana and Sean—a handsome, yet smug fellow internship recipient, who unbeknownst to Liana, ends up following her to California. Chased by an impending disastrous, unforeseen event, we follow Liana (and Sean) on an adventurous, quest fulfilling prophecy spanning over hundreds of years revealing a few secretes about Sean and even herself that ingenuous Liana was never aware of. While this book held, an interesting twists and mysterious, thought provoking secrets, I must admit that I found it difficult to believe that Liana was 24 years old or that she was not in High School. Lori Nelson elegantly captures snapshots of new beginnings, buttery romance, intimacy, and foreboding endings in "Dear Lover." In my opinion, unanimous anxiety and panic attacks are sometimes the result of anything related to relationships, love, and connecting. Therefore, I must say that I really enjoyed the vulnerability, and sincerity aspects of Lori’s poetry. 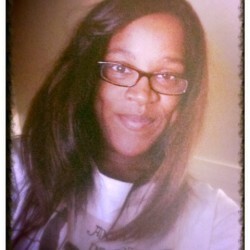 Moreover, she offers the reader waves of relief with speckles of spicy and quirky humor a midst the lover’s angst tale. Additionally, I enjoyed the steadily matched shift in the protagonist’s voice in each chapter and stage as she gradually begins to arc. 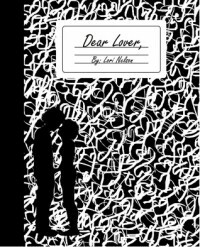 "Dear Lover" sculpts a vivid journey from love to loss and from bargaining to a ventilating catharsis of reflection on lessons learned from past relationships. Overall, I felt this book parallels both the roller-coaster pitfalls of love and life. It has something to offer to everyone and I definitely recommend checking it out.